Individual and family health insurance plans to fit the needs of all families. Ensure you and your family are covered, no matter what kind of day you are having. 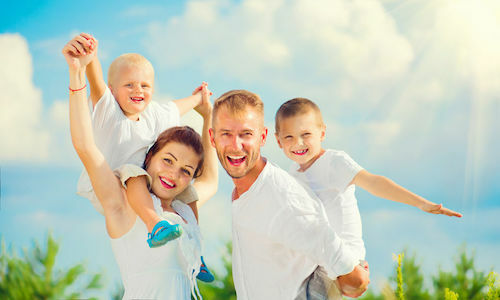 Bob Heckley Health Insurance specializes in affordable healthcare insurance for individuals and families as well as group medical plans, Medicare supplement insurance, Health Savings Accounts (HSAs), dental insurance, and COBRA alternatives. 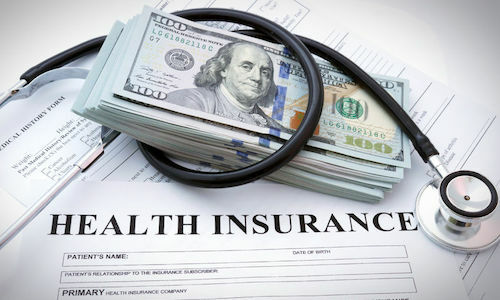 With the Affordable Care Act (ACA), commonly known as Obamacare, all insurance companies are required to uphold certain standards and many of the health insurance plans cannot be different depending on the income level of the individual or family seeking insurance. One of the biggest improvements in health insurance coverage is that no one can be declined insurance based on medical history or a pre-existing condition. Additionally, since the enactment of the ACA in March 2010, all insurance companies must now comply by the goals set forth. This means that consumers are provided with subsidies, known as premium tax credits, that lower costs for households within 100-400% of the federal poverty level. The Medicaid program has also been expanded to cover all adults with income below 138% of the poverty level. And the last ACA goal is to support innovative medical care delivery methods designed to lower the costs of healthcare in general. At Bob Heckley Insurance, our knowledgeable agents can answer all of your questions regarding various plan options, the Affordable Care Act and provide updates on the constant changes in the health insurance industry. We are here to help you with your health insurance and ensure that you receive the best coverage. You can’t find a better price anywhere. For over 50 years, we have been helping clients find insurance that best fits their needs and budget. You will receive the ultimate in unbiased, helpful and friendly advice with Bob Heckley Health Insurance. If you’re in San Jose and Santa Clara County, or anywhere else in California, we will deliver you a health insurance plan whether it it just for your or your family, or a group or small business. Bob Heckley Health Insurance delivers affordable health plans for individuals, families, groups, and small businesses, plus Medicare supplement insurance, Health Savings Accounts (HSAs), and COBRA alternatives for San Jose and Santa Clara County. We offer a range of health insurance options to fit your needs and budget. Whether you are an individual, self-employed, work for a company that does not provide health insurance, there are many plans to choose from. Whether you are looking to insure a small business or a large business, no matter the size, we will provide you with a custom group proposal from all of the major California carriers that outlines rates and benefits for your company. Let’s face it, money is tight. But that doesn’t mean you can’t be covered for the unexpected. Quality health insurance shouldn’t break the bank, thats why we’ve compiled a few additional plans with some of the best rates in California.